Have you hopped onto the Danish design train yet? If you haven't, I suggest you jump aboard and have a look the sophisticated style urban Danish design has to offer. 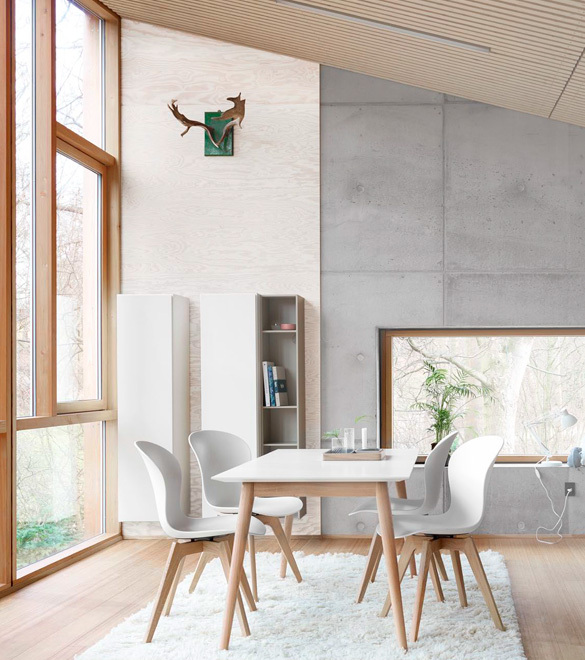 It's a mega popular design style characterised by relaxed European interior design, natural textures and light wooden accents. When furnishing your home, it can be quite difficult to find the perfect style. 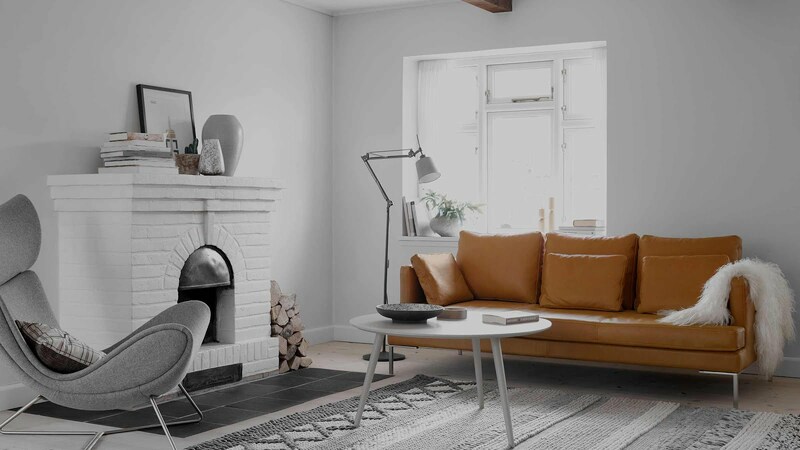 If you already love the light bright Scandinavian style of decorating but don't quite know how and where to start, then BoConcept can help you transition your house into a home. A home that makes you smile when you walk in the door. One that welcomes you with soft, inviting textures and tactile materials under your feet and beneath your hands. One that inspires you with sophisticated urban design deeply rooted in timeless Danish tradition. A home that is beautiful.... unmistakably sophisticated and one that complements and blends in seamlessly with your lifestyle. BoConcept is the brand name of Denmark's most global retail furniture chain with 250 sales units in 60 countries around the world. They have an exclusive furniture range offering the latest Scandinavian designs that can be customised and coordinated completely to your need and style through many distinct designs and customisation options including size, colour and material. And it doesn't end there! BoConcept even offer an interior design service, where their professionals create a whole style based on your personal choices, likes and dislikes. I first came across BoConcept while I was in the UK. I was walking down Finchley Road when I was stopped in my tracks by this gorgeous store filled with the most beautiful furniture. The pairing of sharp-edged bookcases with tactile soft rounded armchairs, white on white design, dark grey contrasting pieces paired with blonde wooden accents and just the most stunning pared back minimalist style! 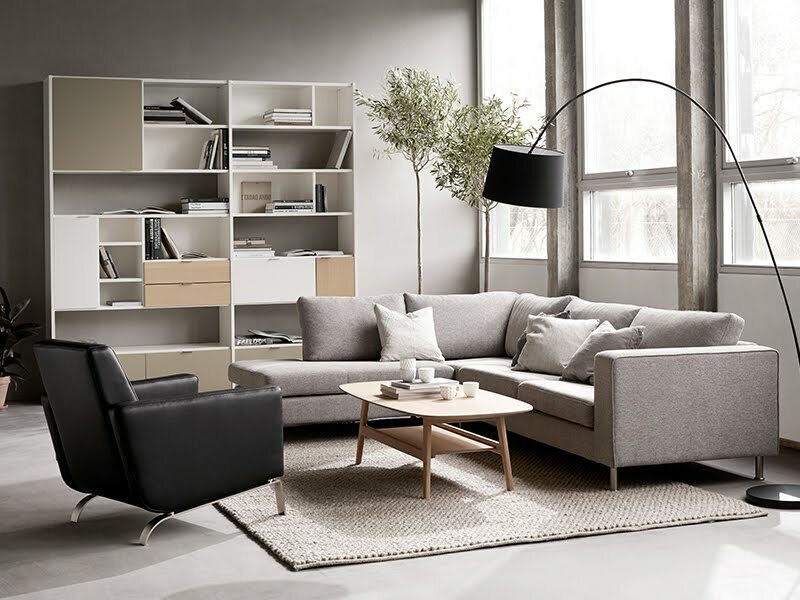 In this article, BoConcept have rounded up a few favourite and popular customisable Danish pieces that can transform your home into an unforgettable, unique and beautiful space. Flexibility is the key with the Copenhagen wall unit by BoConcept. Show what you want, and hide everything else through a combination of open and closed shelving units that can be customised to your specific needs. As functional and flexible as it is beautiful, the Copenhagen wall unit can be transformed into a bookcase, a TV unit, or even a sideboard. You can choose from either a black or white soft finish for a beautiful Danish feel throughout your home. The Milano dining table features an unique appearance with clean lines that will surely lift the style of any dining room. It also has a built-in extendable function that caters for extra seating for up to 12 guests. This modern dining table can be customised according to your wishes. You can choose from varied sizes, tabletops and leg designs, to coordinate a striking setting for your dining room. 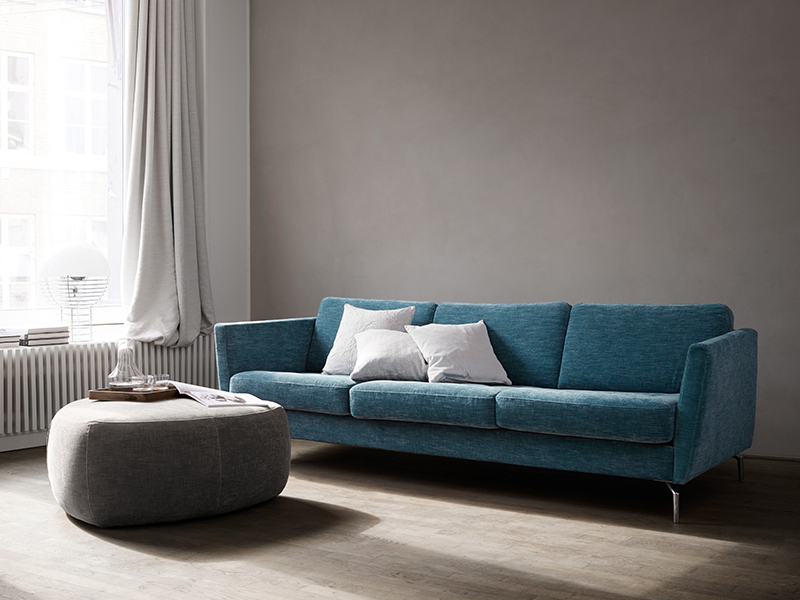 The Osaka sofa by BoConcept features a light look and slim proportions. It is ideal for small living spaces, but works equally well in larger rooms. The pure lines on the Osaka are softened with beautifully crafted details such as the elegant seams on the edges and optional tufting on the seat cushions. Again it is fully customisable to suit your taste and style, with a choice of over 120 different seating units, premium leather and fabrics, exciting colours, and elegant leg designs. You also have the choice between a classic straight armrest or one that curves slightly. You can’t go wrong with this stunning Scandinavian sofa. 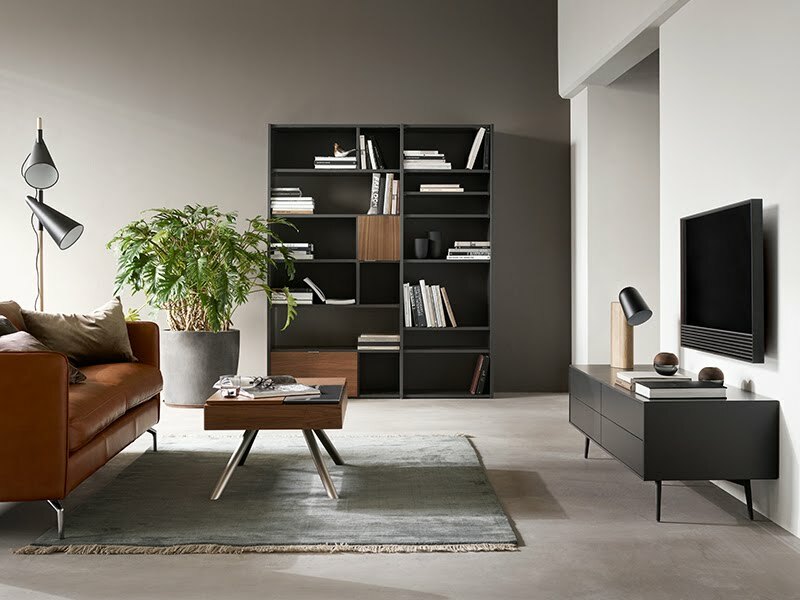 BoConcept have a range of striking Nordic designs and styles, along with exciting colours and beautiful materials available. You can mix and match pieces from their modern Scandinavian furniture range to coordinate a unique European style for your home interior. So if you are looking to give your home a sophisticated urban facelift, have a look at what BoConcept has to offer. Till next time... I'm off to flip through the BoConcept 2017 catalogue! I have my eye on that gorgeous Copenhagen wall unit! To find out more about BoConcept, visit their website at www.boconcept.com/en-au. All images provided by BoConcept. This post was created in collaboration with BoConcept. I only ever work or endorse brands that I love and I think you will too.